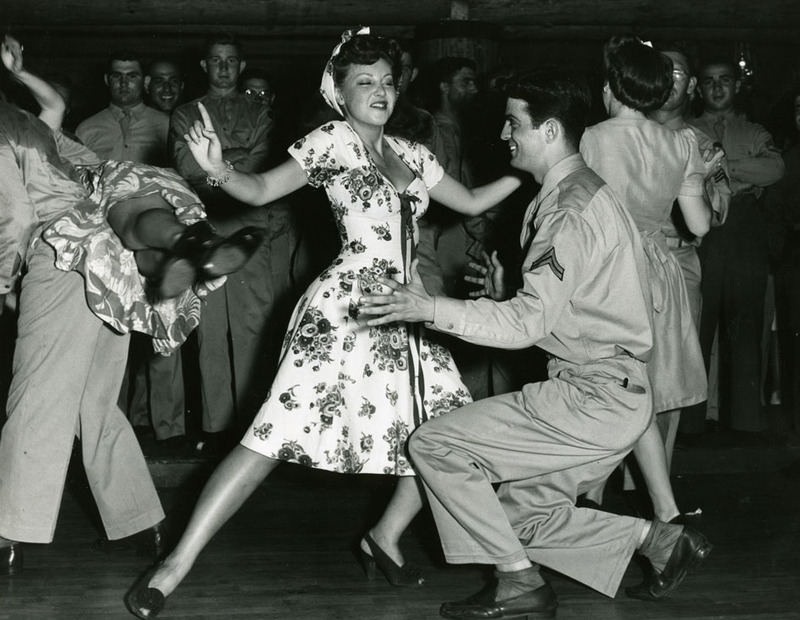 Enterttaining the visiting servicemen was one of the most popular activities at the Hollywood Canteen. 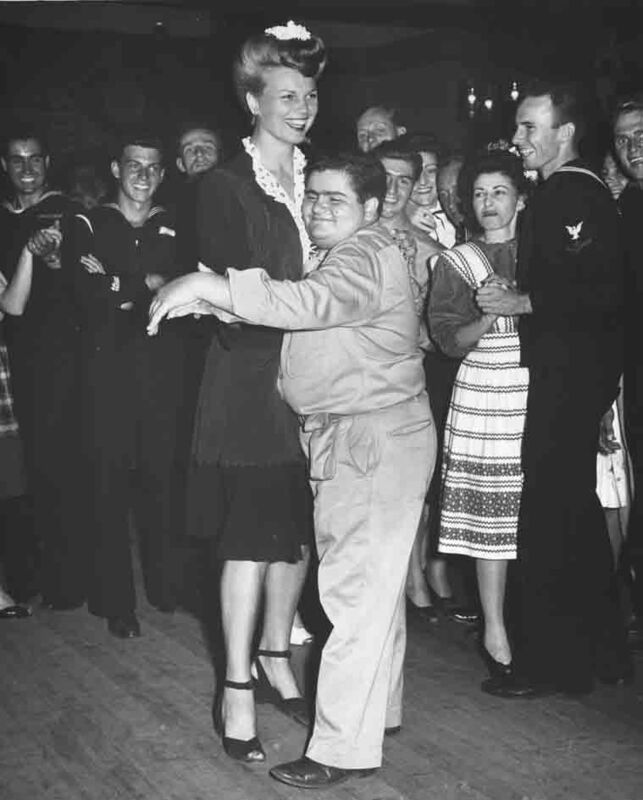 One of the most frequent volunteers was the multi-talented, Mickey Rooney. 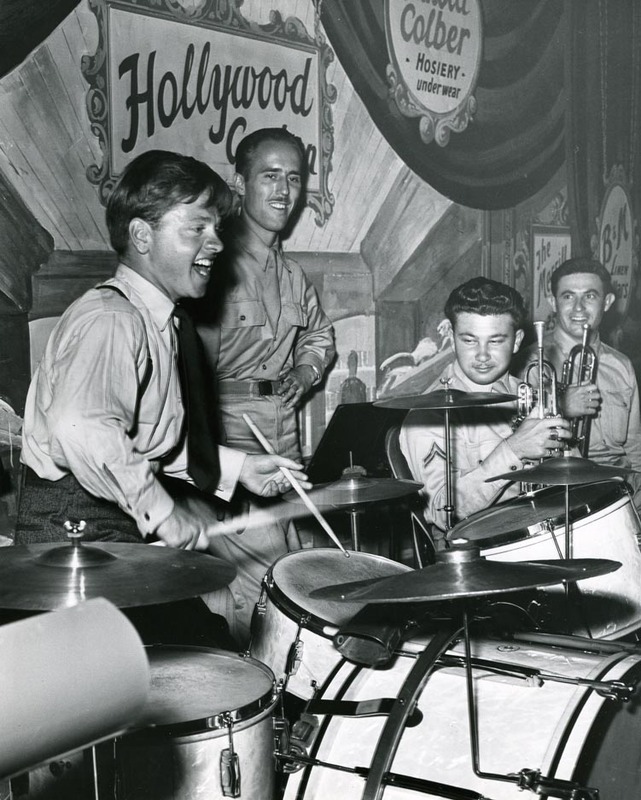 Here is Mickey Rooney playing the drums. From the hollywoodphotographs.com website. Every serviceman who visited the Hollywood Canteen wanted the autograph of the many celebrities who volunteered at the Canteen. 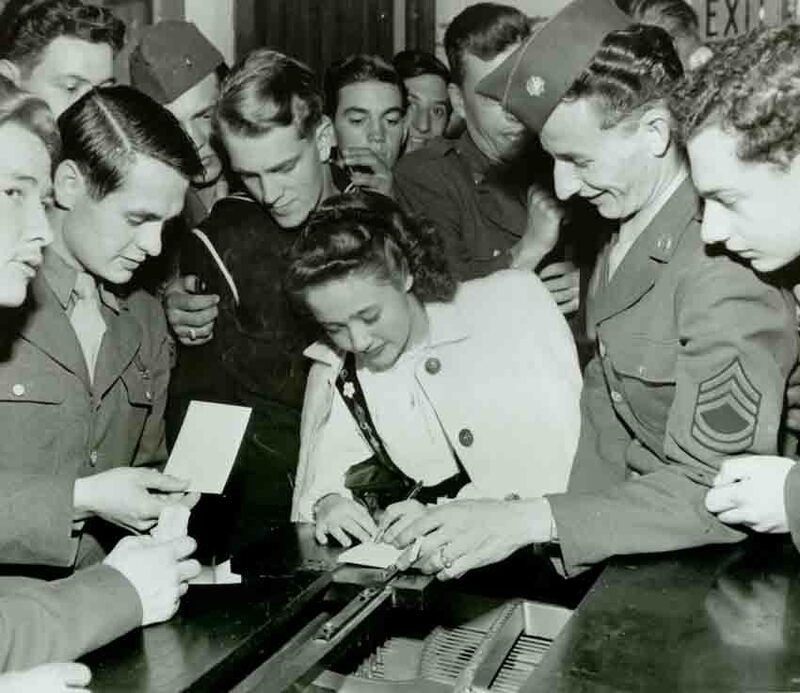 Here is beautiful, Jane Powell, surrounded by servicemen while she signs her autograph. From the hollywoodphotographs.com website.